The 18 Best PPC Spy Tools to Dominate Your Competition | Clicteq | PPC Agency London, Humans, I don't see any? Today I’m going to go all 007 on you with an in-depth article on PPC spy tools. By the time you’ve read this article, your competitors are going to feel as uncomfortable as Greg from Meet the Fockers with how much you know about their PPC campaigns. It is no secret that keeping an eye on what your competitors are doing in business is important. And that holds true for PPC too. PPC spy tools allow you to see what your competitors’ ads look like, where they’re being shown, and how much they’re spending. In fact, it allows you to see their exact strategy, giving you huge insight into what is working for them. Today, I want to share with you 27 PPC spy tools that are going to allow you to dominate your competition, whatever platform they run their ads on – be it Google Search, The Google Display Network, or even Facebook and Twitter. Want to know which adverts and keywords your competitors are using, so you can steal their winning strategy? Look no further than these epic PPC spy tools. Although Auction Insights is not what most people thing of when you say PPC tools, one of the easiest ways to see who you’re competing against is to look at Auction Insights within Adwords. You can see your competitor’s website, your impression share, average position, and other more advanced metrics such as overlap rate and position above rate. This is a great place to start your PPC spying, as you now have a list of your competitors’ websites to enter into the next tools that will be discussed. The tools allows you to see exactly what ad copies your competitors are running, and has an incredibly comprehensive database that’s updated regularly. 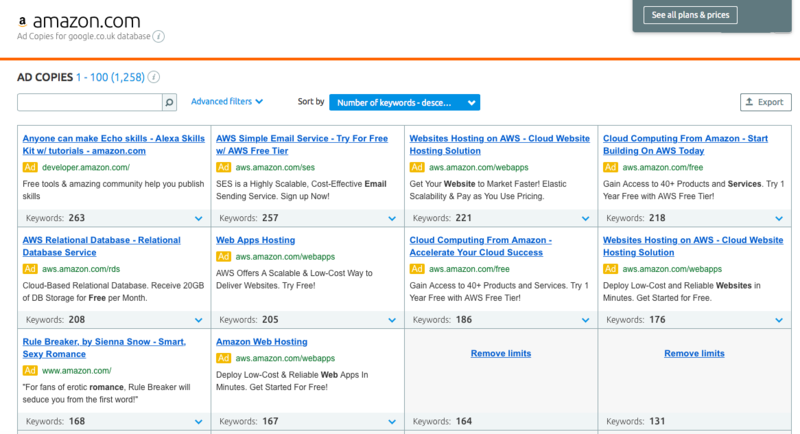 You can also exactly which keywords their ads are appearing for. 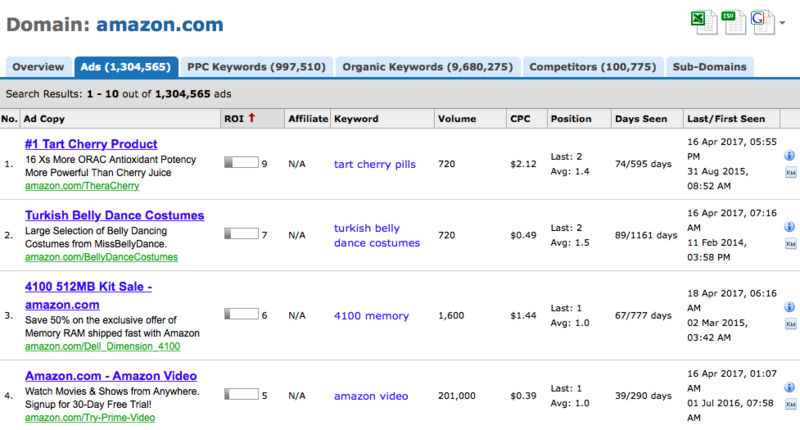 Here, you can see that Amazon’s top keyword is “Game of Thrones”. This literally gives you your competitor’s PPC strategy on a plate for you to analyse and copy. You can try this tool for free for 7 days by signing up to their free trial here. Pricing Starts at $99.95/month, and goes up to $399.95/month. Spyfu is another big player when it comes to PPC spy tools. It allows you to see your competitors’ keyword groups, overlapping keywords that are shared by different competitors (which usually yields some great keyword opportunities), and your competitors’ ad history. The main tool that is exclusive to Spyfu is called Kombat, which as I mention above, allows you to see which keywords overlap. 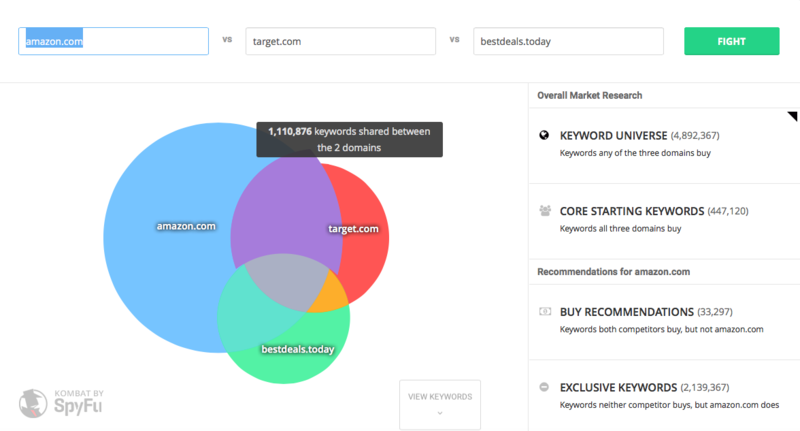 By hovering over the different segments, you are able to see how many keywords are shared between each competitor. Once you select a segment, the shared keywords are then listed below which you can export. iSpionage is one of the ‘Big Three’, along with SEMrush and Spyfu. 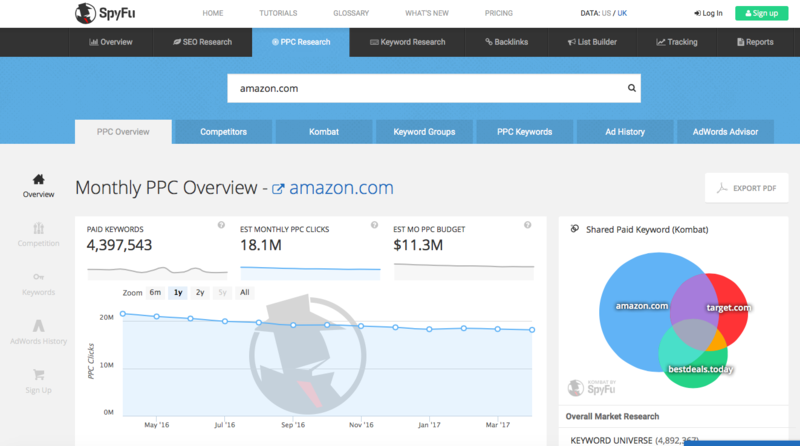 It provides a detailed overview of the keywords your competitors are using, their ads, and who you are competing against. One other cool feature is that it allows you to spy on Bing/Yahoo ads too! This tool is also useful for advanced advert analysis. It gives you information on how often each ad is served (which gives you insight into which one is performing the best), as well as how many different keywords trigger that ad, enabling you to copy their keyword grouping. iSpionage even has features that allow you to track your competitors’ landing pages. Neat, right? Pricing start from $29/month for their most basic package, and $299/month for their most advanced. 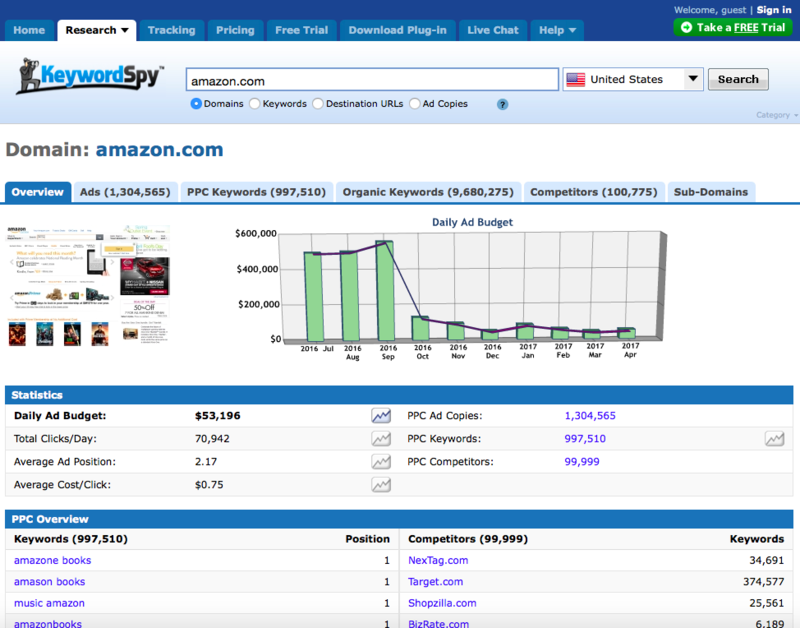 KeywordSpy is a useful, but lesser known, PPC spy tool. It allows you to uncover your competitors’ ads and keywords along with a comprehensive list of advertisers who are competing with them. Like SEMrush, Spyfu, and iSpionage, it provides a comprehensive overview of your competitors’ ads, including data such as ‘number of days seen’, and ‘first/last day seen’, which are not provided by the other tools. Although Similarweb is mainly known for being a web traffic estimator tool, it is also very effective at spying on your PPC competitors. The Keywords tab allows you see monthly search volumes, the cost per click, and the amount of traffic that it drove. 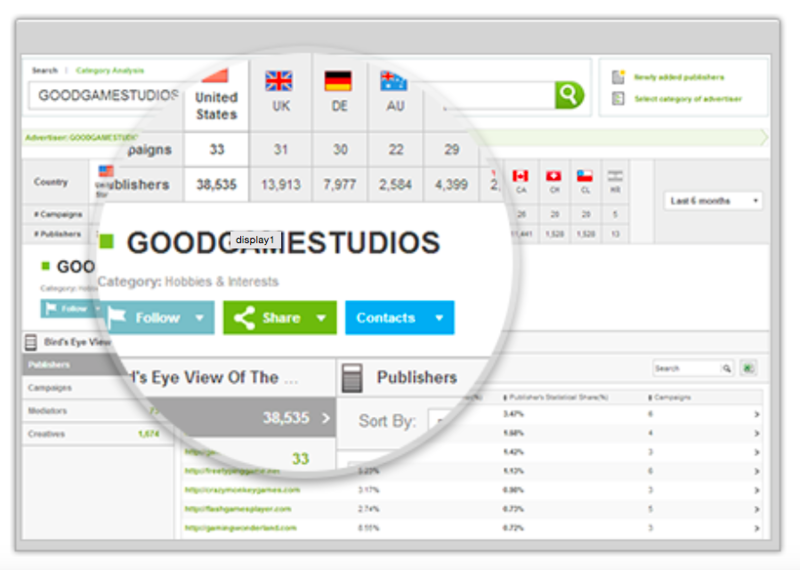 Like the other PPC spy tools, it also has a feature to track your competitors’ landing pages. The Adwords display network is a great place to use PPC spy tools, as it’s generally much harder to find your competitors’ ads. Advertisers can be much more creative with their ads, funnels, and remarketing, which gives you a lot of opportunity to uncover a few gems. WhatRunsWhere has by far the most comprehensive overview of display network traffic and creatives. It not only covers the Google Display Network, but allows you to access channels such as Mediabuy and Rubicon. 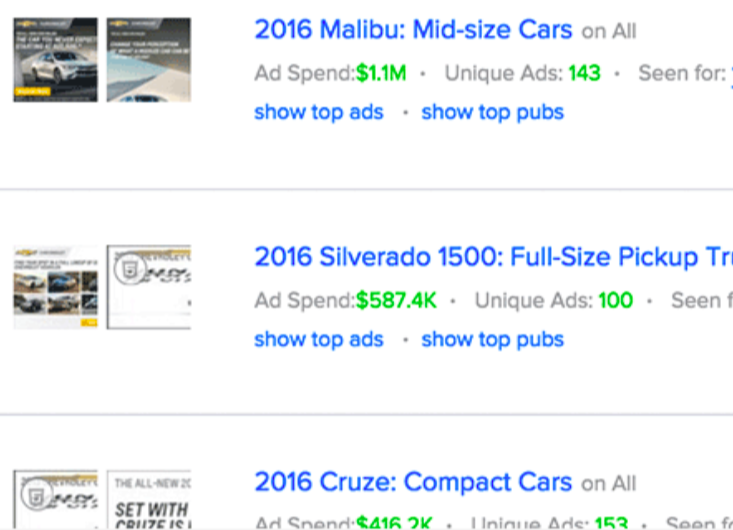 Here, you can view your competitors’ banner ads, and filter by ones that have been seen the most often, as well as which ones have been seen for the longest period of time (and hence are likely to perform well). You can also view your competitors’ traffic sources, and download a list of placements which you can then upload into your own campaigns. 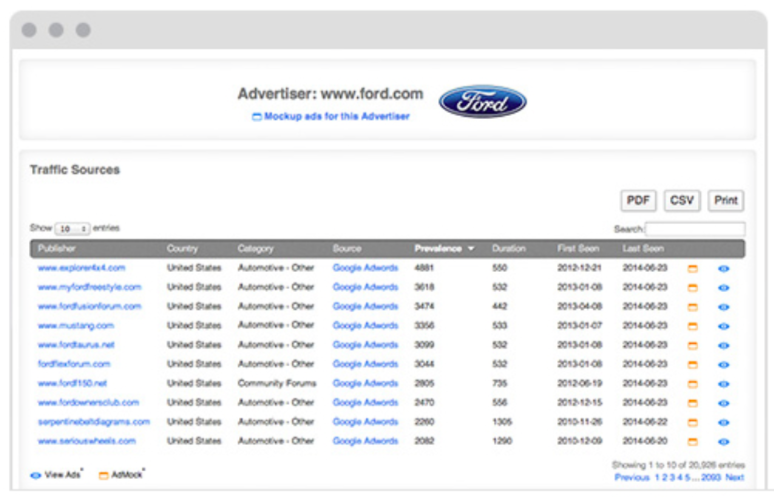 For example, here are the placements on which Ford are displaying their ads. 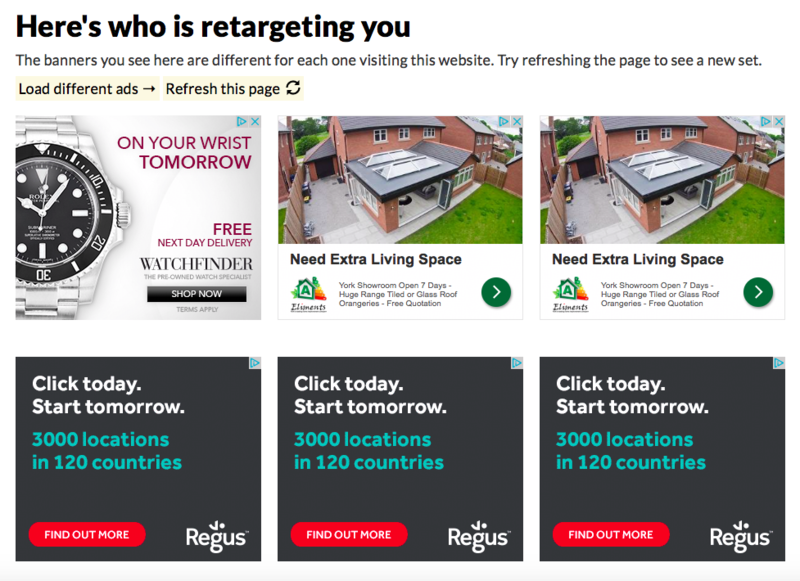 This is a cool free tool that allows you to see who is displaying remarking ads to you. Simply visit your competitors’ website, then go to WhoIsRetargetingMe and you’ll be able to see their ads. If you want to get really specific, you can do this after visiting certain pages on their website to uncover their different campaigns. This is a free tool to use. 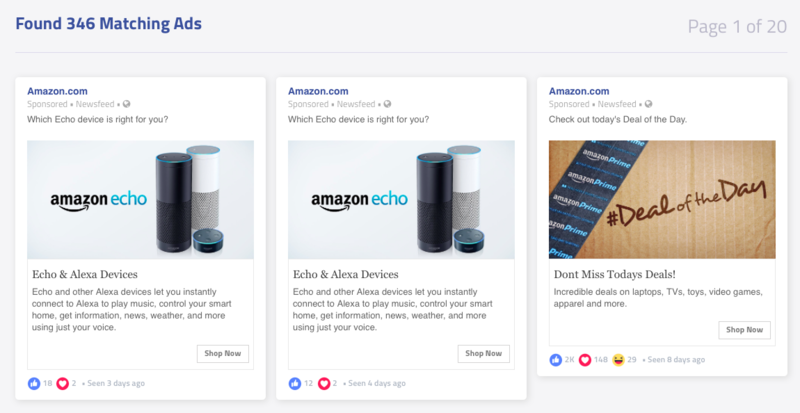 Adbeat is a step up from Whatrunswhere, and allows advertisers to spy outside of the Google Display Network and view spending levels. 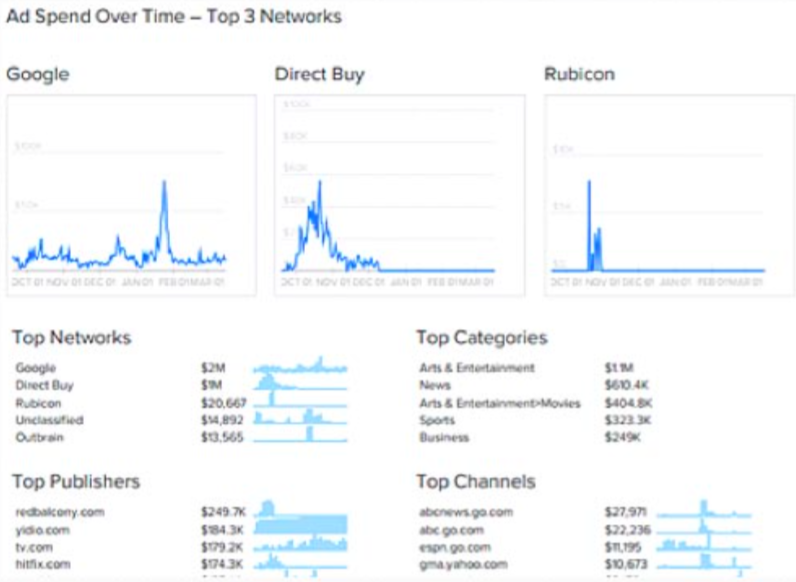 The tool allows you to see what networks the specific ads run on, and how long their ads have been running for, which is usually a good indicator of their success. 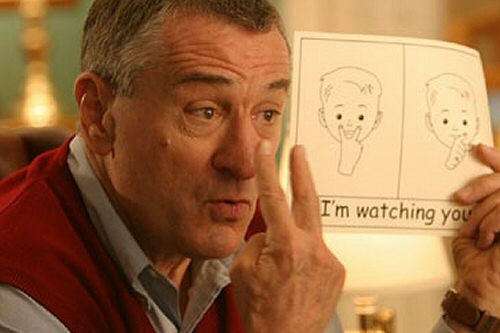 Furthermore, you can spy on your competitors’ split tests. The tools also allows you to spy on over 90+ different networks outside the Google Display Network. 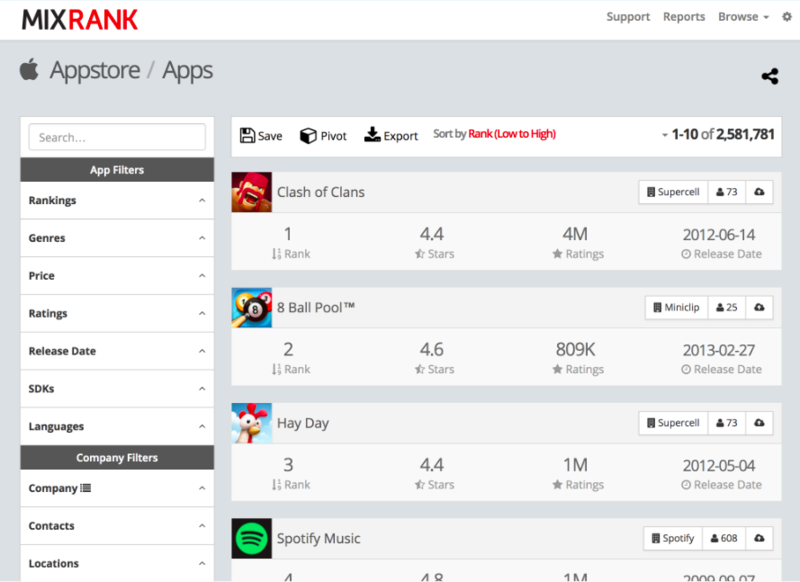 MixRank describe themselves as being “the most comprehensive database of mobile apps, developers, SDKs, technologies, services, and integrations”. MixRank provides you data on your competitors’ landing pages and campaigns. It allows you to tap into the App Directory side of things and gather intel from the iOS and Android. 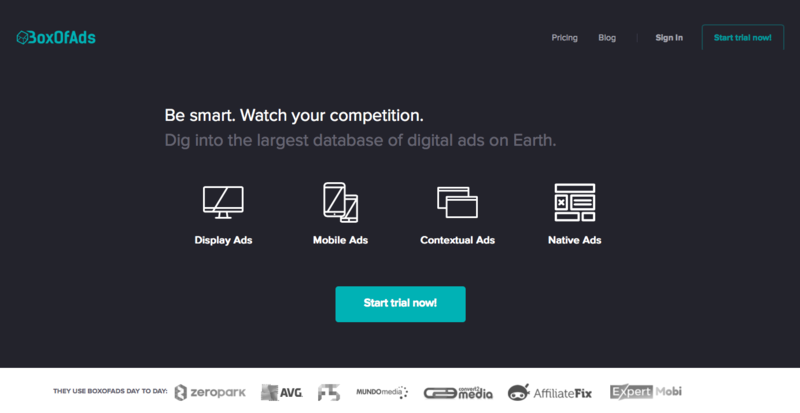 BoxOfAds allows you to spy on both your competitors’ ad creatives and landing pages, with ease, across thousands of publishers. Within the interface you can see display ads, mobile ads, contextual ads, and native ads like the ones below. Pricing starts at $147/month for the basic package, and goes up to $599/month for the business edition. AdClarity allows you to discover your competitors’ best display ads, allowing you to expand your display campaigns and improve their reach. This highly comprehensive PPC spy tool will allow you to get ahead of the competition and increase your ROI. MOAT allows you to see where your competitors’ banner ads were last shown. Like WhatRunsWhere, it has a very comprehensive database of image ads. For example, here are some of the ads that Amazon.co.uk are currently running. Social Media ad spend is growing year-on-year, with Facebook reporting revenues of $28b; up 57% from the previous year. But before you get started with social media advertising, like with all other forms of paid media, it’s best to first determine what’s been working for your competitors. The following tools will help you do just that! Simply Measured allows you to benchmark your social media PPC performance against your competitors’. This PPC spy tool allows you to analyse your market share, get detailed analytics about your competitors, and analyse up to 10 of your competitors’ fan pages. Adicted.io is arguably one of the best social media PPC spy tools, boasting the largest database of Facebook Ad examples. 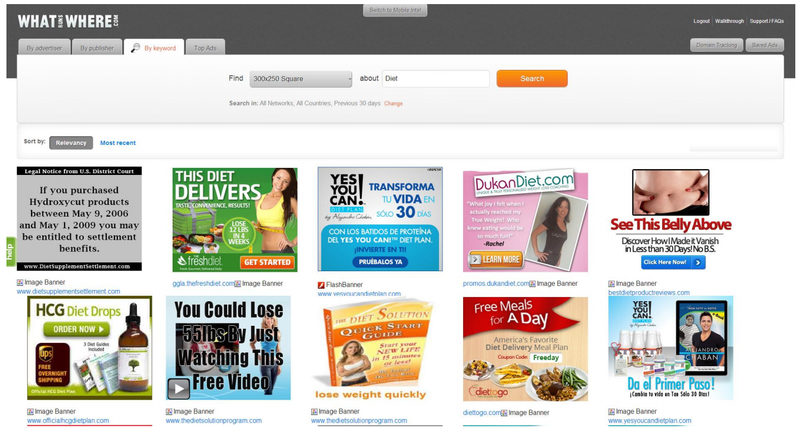 For example, here are some of Amazon’s most popular ads that include the button “shop now”. As you can see, the library is very comprehensive, making it my favourite social media competitive research tool. 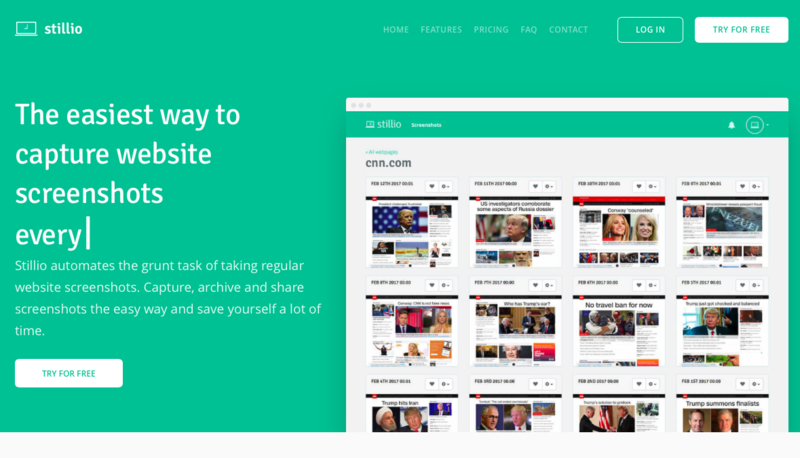 Adicted.io offers a free trial, with packages up to $24.97/month. AdEspresso provides a comprehensive ad library that now has over 350,000 Twitter and Facebook ads. The simple truth is that even the best PPC campaigns will fail if they have poor landing pages. When you’re paying for every click, you need to ensure that you have strong landing pages in place to convert searchers into paying customers. Landing Page spy tools allow you to see how your competitors are using their landing pages, and you can track their split tests to see what’s working and what’s not. Snitcher is, in essence, an analytics tool as opposed to a PPC spy tool. It integrates within your CRM system and Google Analytics, and offers a cool twist: it allows you to discover how people found you, and what pages they visited before reaching your website. 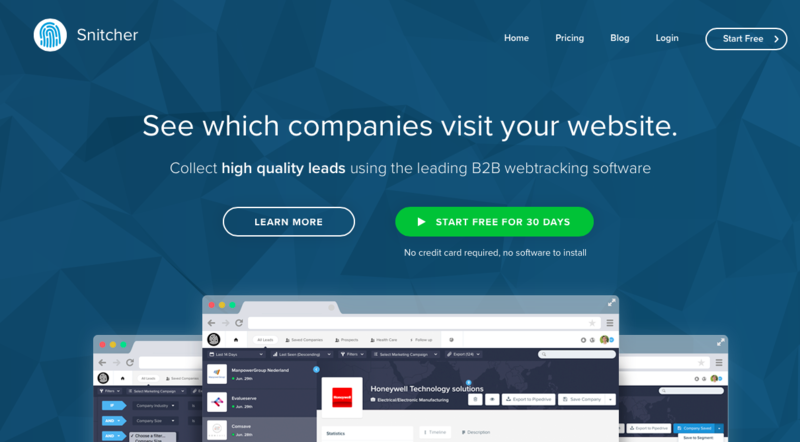 Stillio allows you to track your competitors’ landing pages automatically, so you don’t have to spend hours a month crawling through your competitors’ PPC landing pages. You simply tell Stillio what to track and when, and it will automatically take a screenshot of your competitors’ landing pages each day. One thing to keep in mind is that what your competitors are doing won’t always work for you – although it’s a great starting point. Analyse what your competitors are doing, and improve on it by playing to your own strengths. Have I missed any PPC spy tools? Post them in the comments section below! The tool I actually use the most is Google Sheet + Google Adwords API & scripts. As Excel, Google sheets allow to follow exactly what matters on your accounts, and very specific metrics for some accounts. And as you choose what to monitor and how to show the result (graphic, table, colored cells, …), it’s really for my team and me to see in a glance what matter the most and where to start our day. My go tools Semrush and Ispionage, these tools are the best tools so far i have found and got tons of golden keywords to target. By the way wesley, thanks for letting me know about more tools. Great comprehensive spy tools you have there in your article! By the way, we are AdSpy.com – the largest Facebook and Instagram Spy Tool. We came across your blog and were wondering if you would be interested in promoting or reviewing our social media ad intelligence tool and possibly add us here in your blog post as a new social media ad spy tool this year in the Social Media Ads section?